Boat Fitting Out Ideas – Increase your Comfort and Catch More Fish! Everyone has that one mate whose boat is the envy of all fellow fishos. Fitted out with all the latest and greatest, it just seems to work wonders. On top of that, it has the most comfortable ride you’ve ever seen. Why can’t that be you? Well, with a few good ideas, it can! Fitting out a boat is all about coming up with creative ideas. Those ideas should be based around your needs, too. For example, you should adapt your boat to the type of fishing you do, the type of weather you prefer, and where you take your boat. 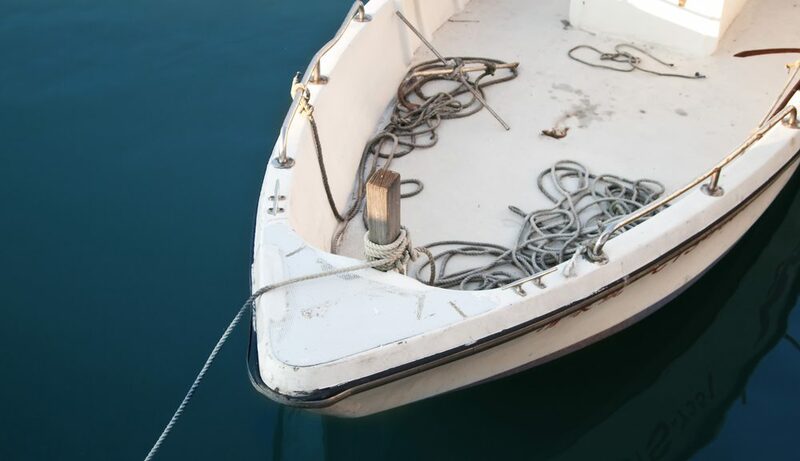 If you’re starting from the top, then let us help you with these boat fitting out ideas. The first boat fitting out idea is simple, but transformative: get a marine ply deck on your tinny! So you’ve started with the basic: you’ve got a tinny, an outboard, and some safety gear. Sure, it’s all you need to get on the water. But you could have more – starting with fishability. Trying to flick lures or cast nets from the bottom of a tinny hull is harder than it needs to be. That’s why a basic marine ply deck is the perfect fitting out idea for your boat. It’s pretty cheap, it’s definitely a DIY job, and chances are all the things you need are just a short drive from your house. All you need is some marine carpet, some marine ply, some decent glue, screws, and handful of basic tools. The rest is all cutting, measuring, and waiting. The result: complete transformation! Remember, though, there’ll be some added weight – so a good quality trailer is key. You may even need a new one! Now you’ve got a tinny, complete with carpeted floor, an outboard, and safety gear. It’s great for fishing, and casting from it is a breeze. But getting to the fishing spot was a bit bumpy… How can you resolve that? Easily, in fact, by fitting out your boat with seats. It really is a great idea to get some comfortable seats in your boat. At the very least, you should have some as the skipper. They are easy to install, and you can probably work out a DIY installation into the new deck of your boat! Fishing gear seems to accumulate like a constantly incoming tide. It just gathers and gathers, until we can’t find the tackle we need and have to buy some more to replace it. That means that, by this stage in your boat fit out, storage has probably become an issue. So here’s an idea to fix it: fit out your boat with underfloor storage. Underfloor storage gets your tackle, safety gear, and tools out of the way. The result: more of that great new deck to fish from! Now let’s catch some fish: fitting out your boat with the latest sounding equipment is always a good idea! With all the basic fitting out ideas underway, your boat is ready to fish from. But finding the fish is your first port of call. To do that, we reckon the best idea is to fit out your boat with the latest sounding equipment. As a starting point, a good depth sounder is the way to go; it’ll help you find fish. After that, you can think about a GPS to mark them once you’ve found them! When it comes to choosing which boat fitting out ideas to begin with, why not speak to the experts. At Almac Trailers, we literally fit out boats from the ground up! Contact us today!